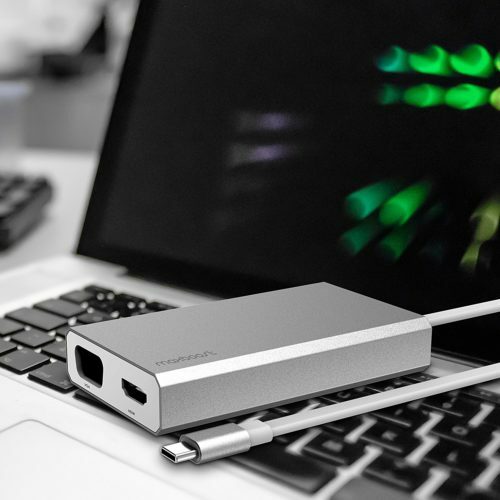 Easily convert your favorite devices to be Type-C compatible, including monitors, printers, card-readers, projectors, and more. 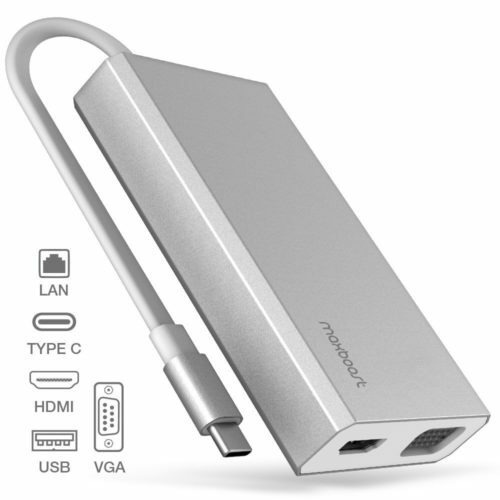 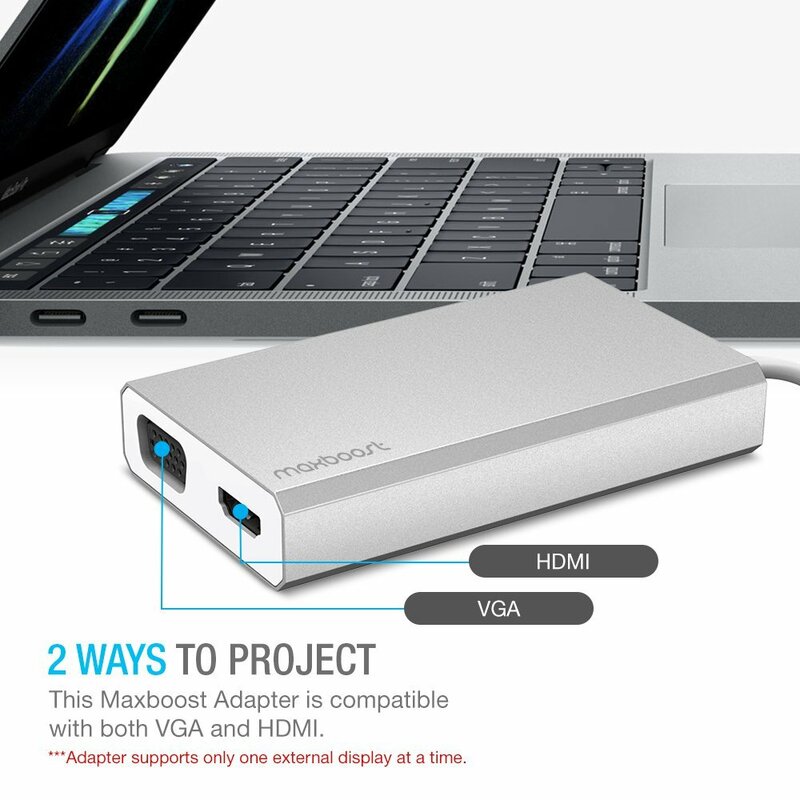 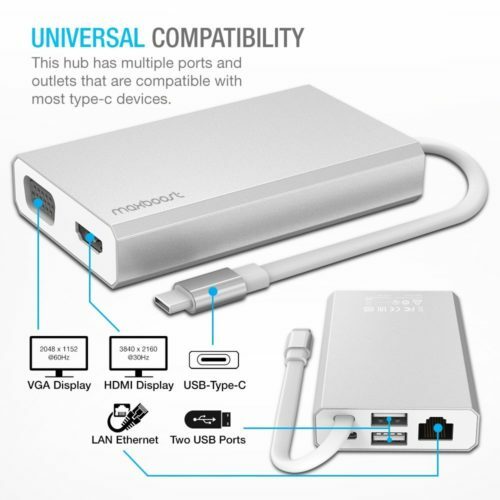 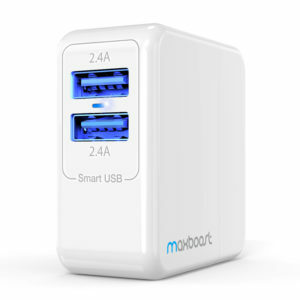 Equipped with Type C input/outputs, Ethernet port, HDMI port, VGA output, and a USB 3.0 port. 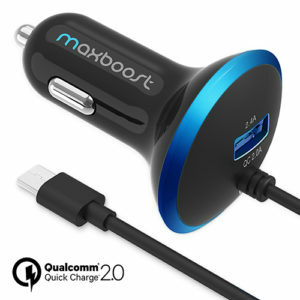 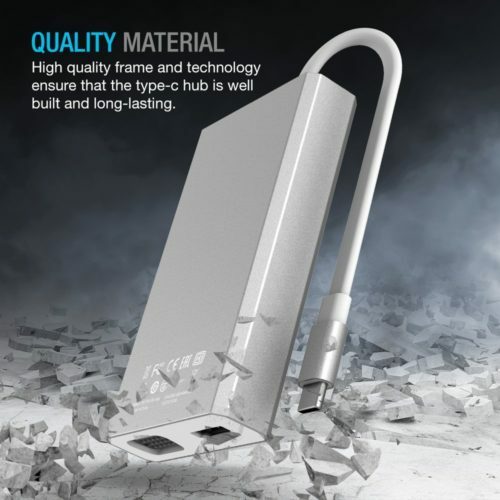 Integrated 4″ Type-C cable enables easy maneuverability when connecting multiple devices. 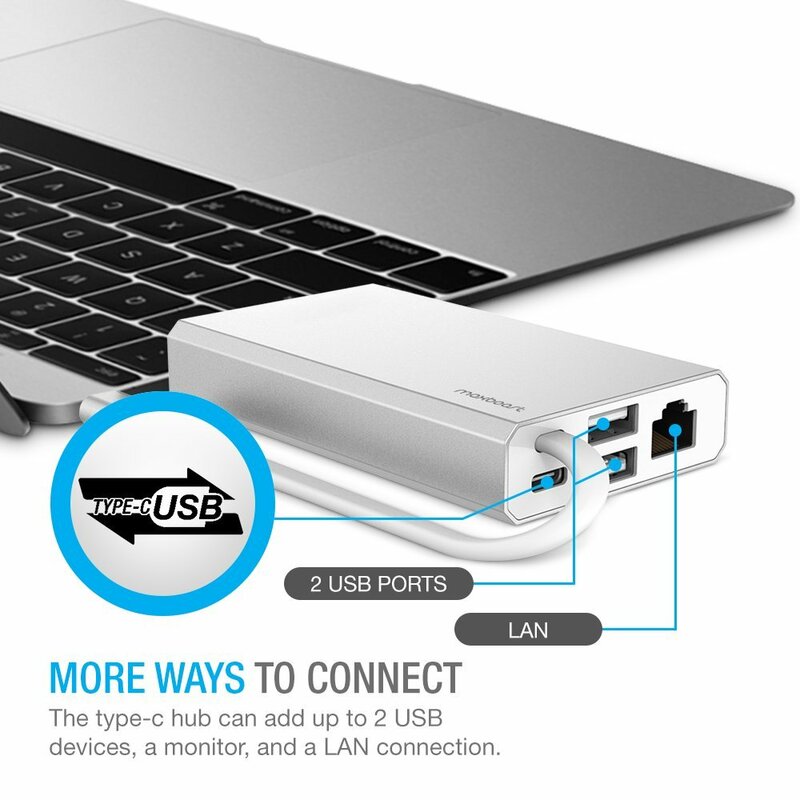 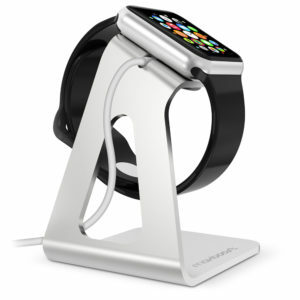 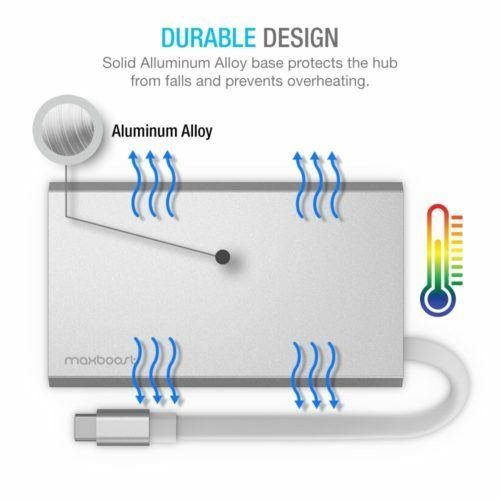 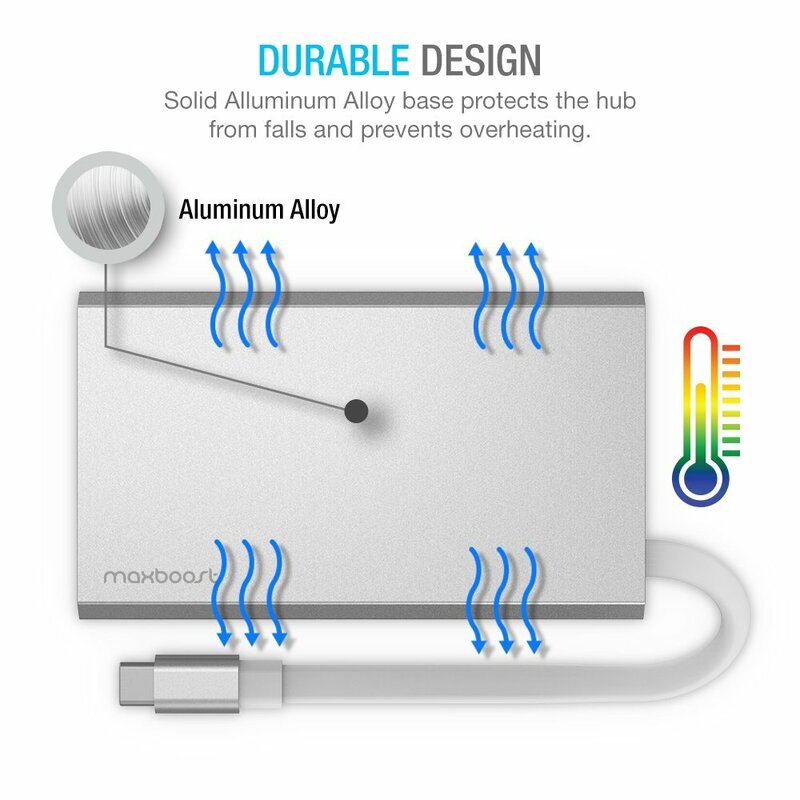 Charge-thru Type-C input allows charging of MacBook, Macbook Pro or Chromebook Pixel while using the hub. Durable aluminum frame protects against drops and scratches and makes the hub a perfect travel companion. 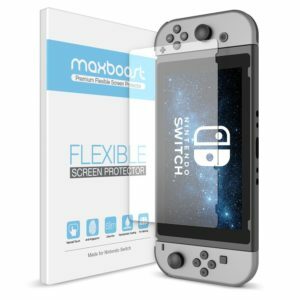 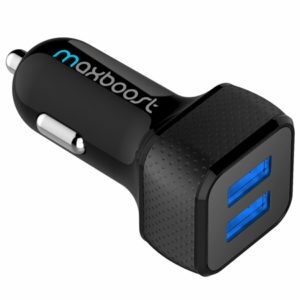 Backed by a 1 year warranty from Maxboost. 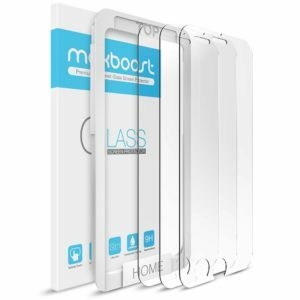 Note: The hub will not directly work to convert mobile phone screens due to mobile phones using MHL resolution.